It’s important to walk Skyland and Whittier together; their history is intertwined in a story of integration. Race Street, particularly, runs through the middle of these two neighborhoods. 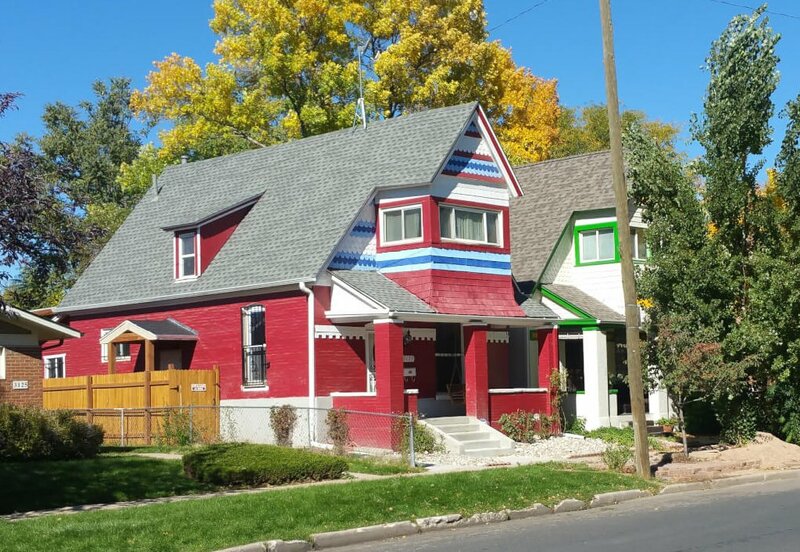 Together, these neighborhoods tell the story of remembering. We learned so much walking both of them in one day. Whittier sits with 23rd Avenue to the south, Martin Luther King Boulevard (32nd) to the north, Downing St. to the west and York St. to the east. Named after John Greenleaf Whittier (1807-1892), an abolitionist poet and a founding member of the American Republican political party. The neighborhood lives and breathes history that melts over from Five Points, jazz music, and Denver’s integration story. While walking the neighborhood, we learned four things. 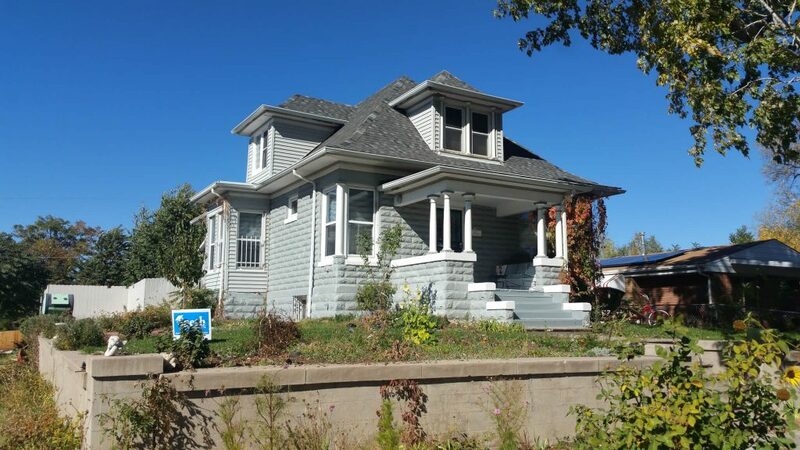 Race St was the historical color line of Denver. 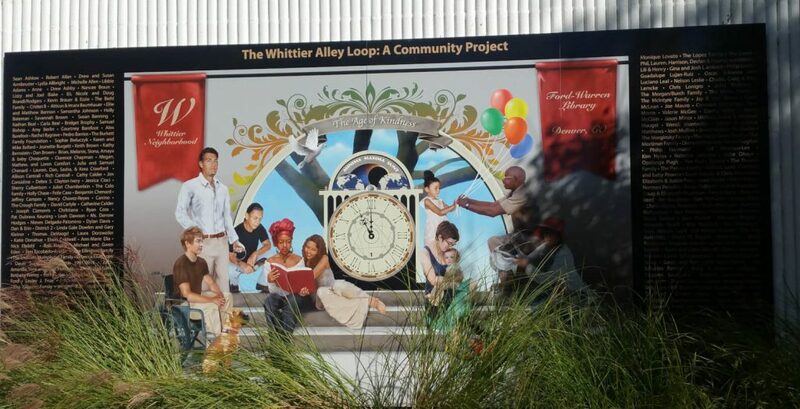 Although almost completely gone, the Whittier Alley Loop project told this story in artwork with murals and quotes. I hope this piece of interpretive history comes back with a vigor! Along the short loop, we learned Whittier was home to Madam CJ Walker’s African-American hair care business. She became the first self-made, female, African-American millionaire, influencing beauty all over the US, the Caribbean, and Mexico. We also found an interesting piece of local history as well–the home where Buffalo Bill Cody died! Pony Express rider, war veteran, bison killer and sideshow salesman, the place where he died still remains. Finally, while walking back toward our start along MLK, we passed through Morrison Park. Named after George C Morrison who is known as the godfather of jazz, we enjoyed the lovely signage and memorial to him, which links him to the historic Five Points jazz scene. 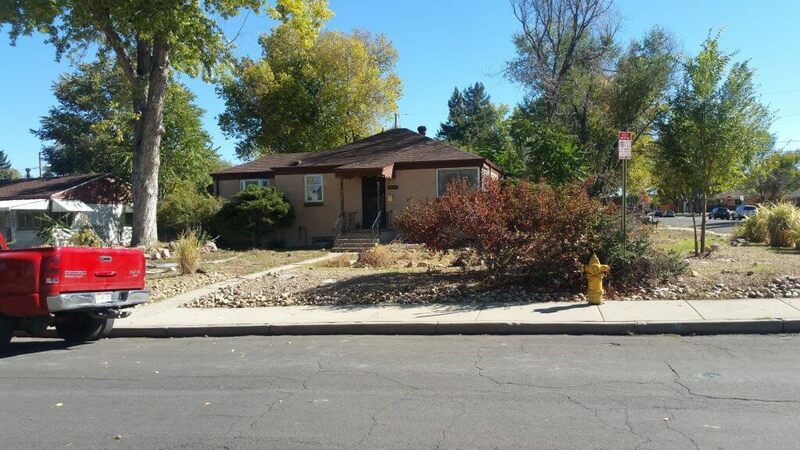 Skyland, more commonly known as North City Park Neighborhood, is bordered by Martin Luther King, Jr Boulevard to the north, East 23rd Avenue to the south, Colorado Boulevard to the east and York Street to the west, sitting just east of Whittier and includes the City Park golf course. Skyland’s neighborhood association, North City Park Civic Association, has been around almost 40 years, and they’ve posted signs at the neighborhood’s entries. 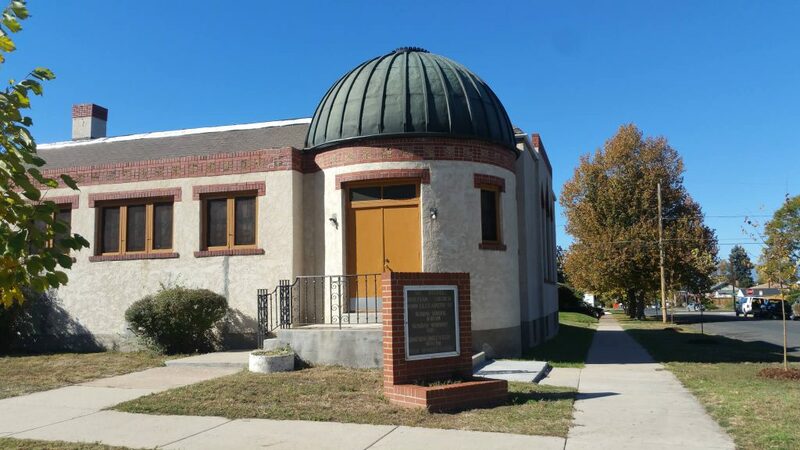 Although Skyland doesn’t have the more exciting history that Whittier has, it, too has contributed to the area’s wax and wane with Five Points and Whittier. While walking in Skyland, we found the typical mix of older homes and 1940s homes, but the 1940s dominated the area. Walking the two neighborhoods together really helped us see how the “color line” affected both areas. It was nice to see the mix of history, the development of some beautiful pocket parks, and an attempt to keep history alive. 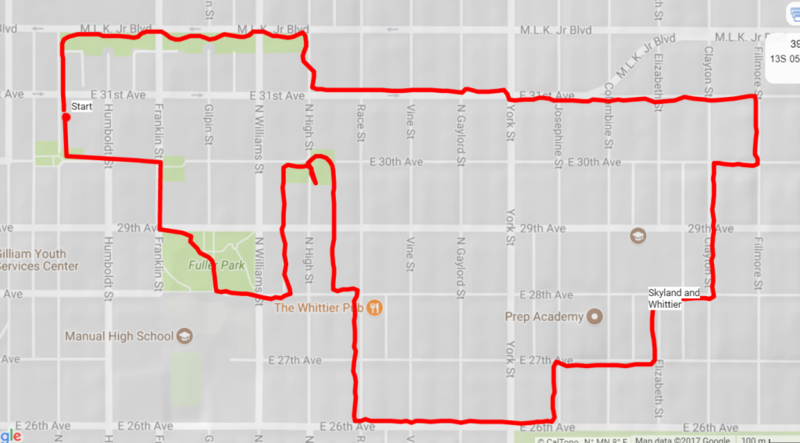 Our 3.3-mile walk kept us talking about both neighborhoods even after we finished. Start at 3019 N Lafayette St. Walk south past the community garden and through the park. 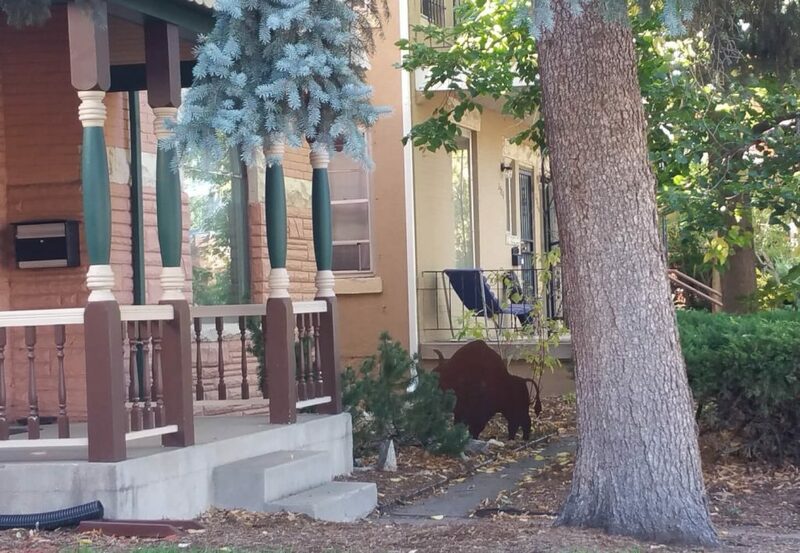 Look for the house on the east side of the street that has a buffalo in its yard. That’s the death place of Buffalo Bill. Take a left on E 30th Ave, right on Franklin, then a left on E 29th Ave. Walk south and diagonally through Denver’s second oldest park, Fuller Park. Say hello to the dogs in the dog park and pass along Manuel High School. Continue to the east along E 28th Ave.
At the corner of High St and 28th, enjoy the mural on the library. Then, walk up the alley to the west of High Street, seeing the remnants of the Whittler Alley Loop project. Continue up the alley to E 30th. 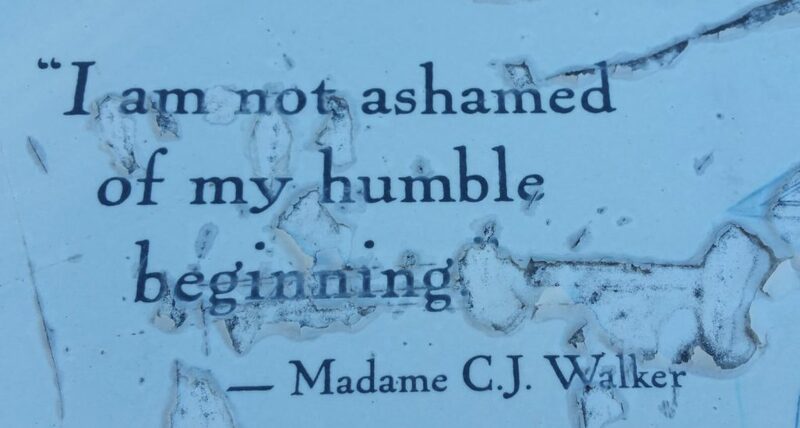 Take a right and enjoy the history of Madame CJ. Continue to the east, crossing High and then heading south in the alley behind High St. Take a left on E 28th Ave.
Take a right on Race St, then a left on 26th Ave. Cross York into Skyland. Take a left on Josephine St.
Take a right on E 27t Ave and a left on Elizabeth, a right on E 28th Ave, then a left on Clayton, making your way through Skyland. Notice the variation in homes with the block from turn of the century to modern. Pass the local schools, then continue to take a right on E 30th Ave, then a left on Fillmore St. Take a left on E 31st Ave, continuing your amble in Skyland. Cross York again, then at High, take a right. 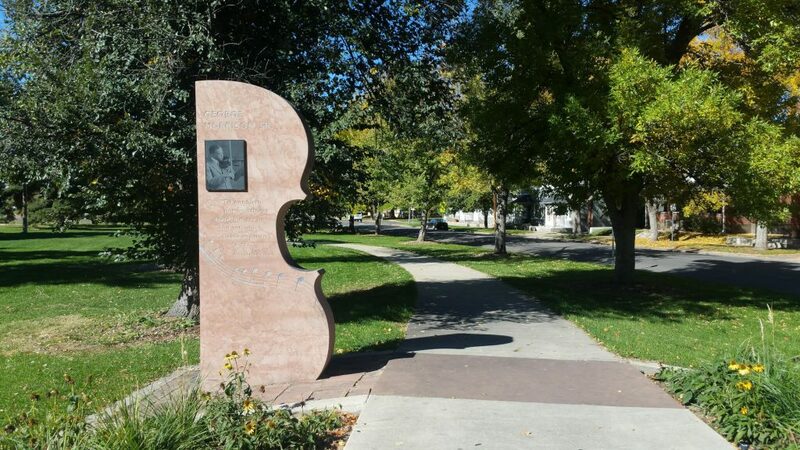 At MLK, take a left, walking through Morrison park and stopping to read its history. At Lafayette, take a left, returning back to your start. What did you enjoy about this walk? What did you see? Think about?